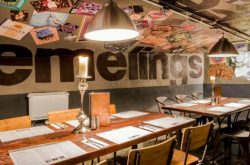 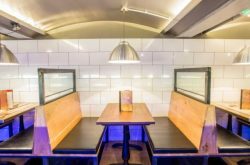 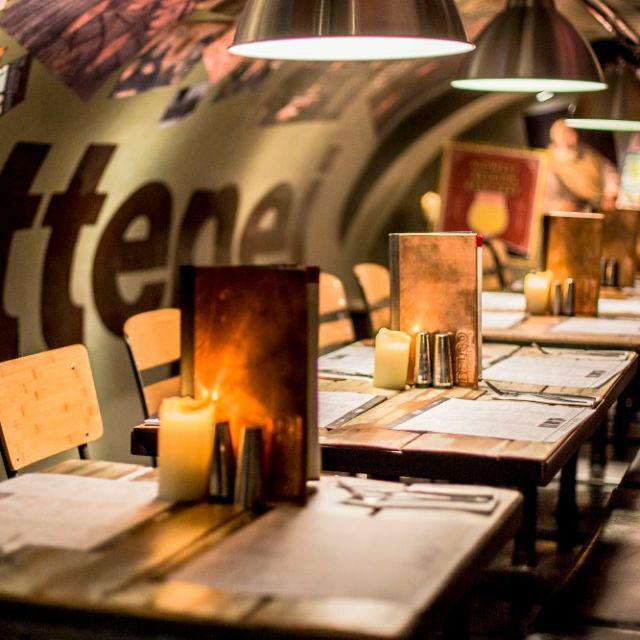 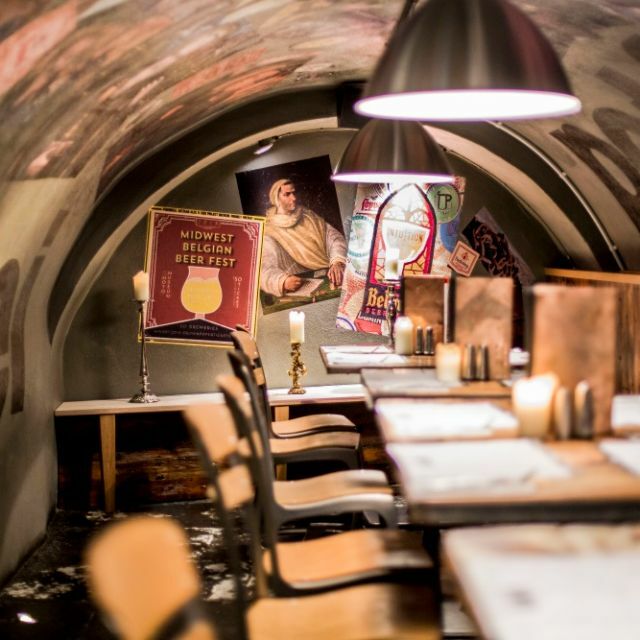 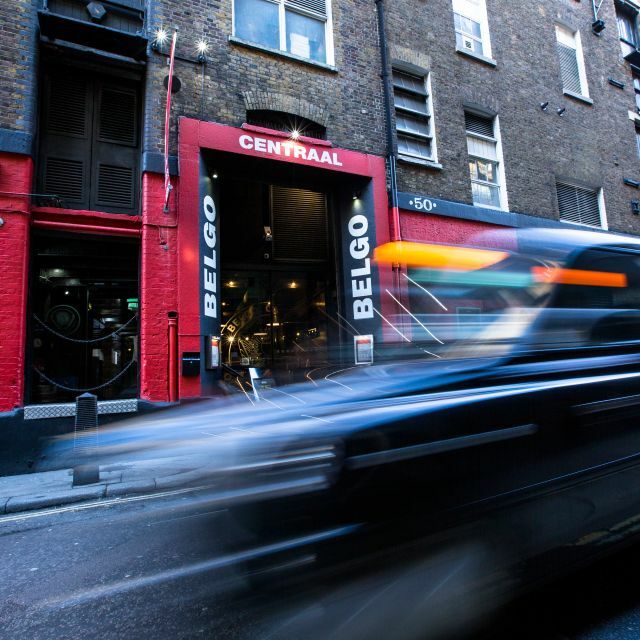 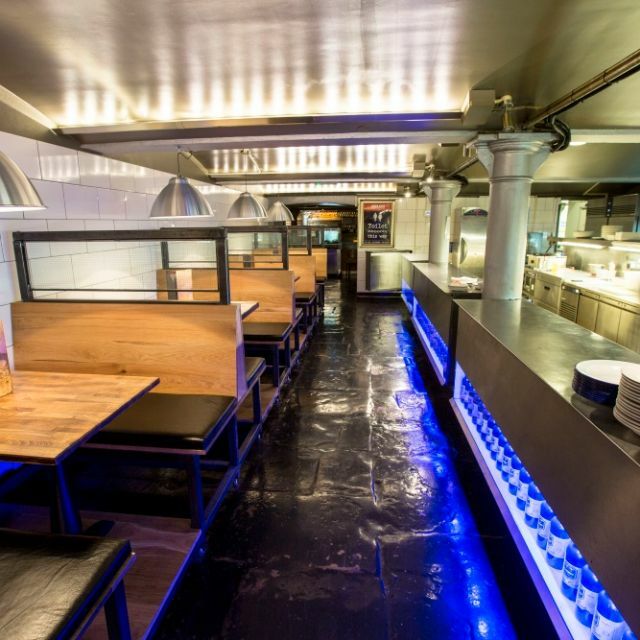 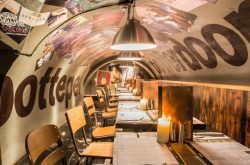 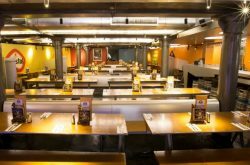 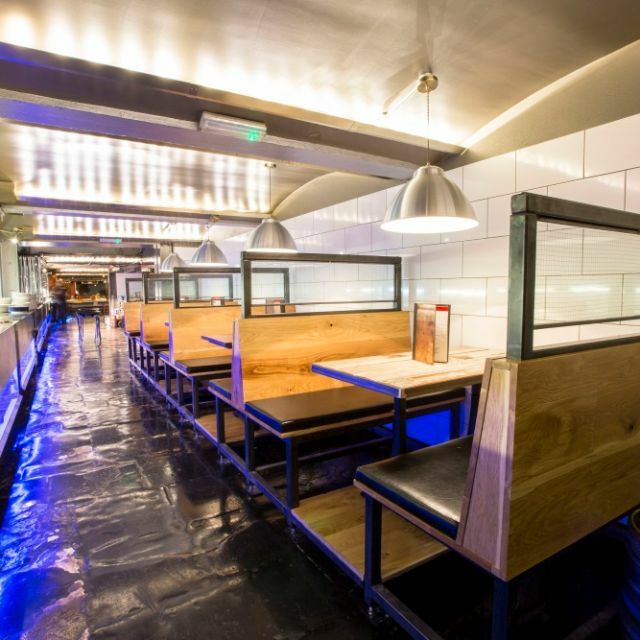 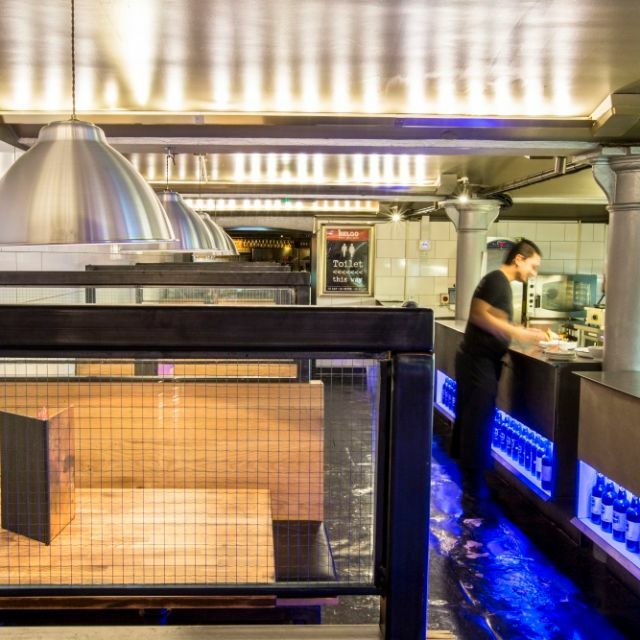 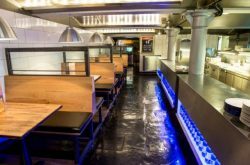 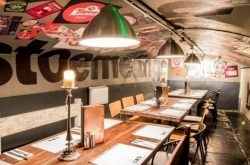 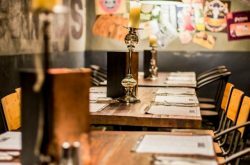 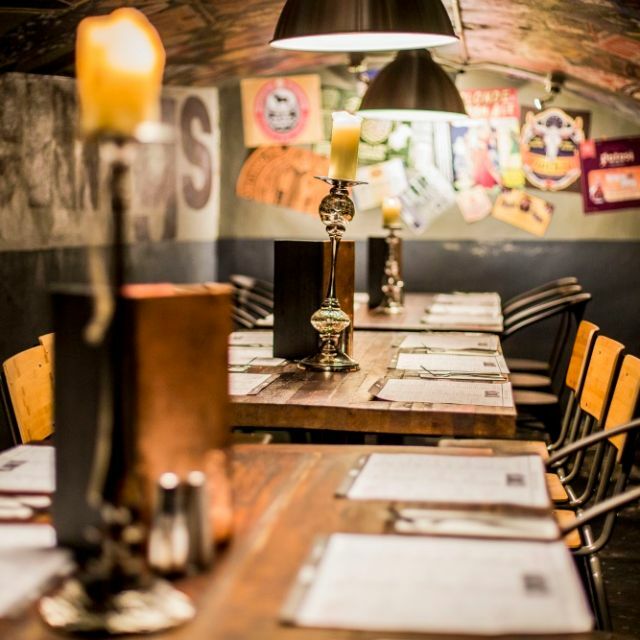 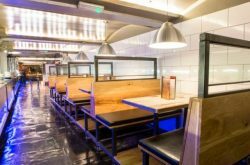 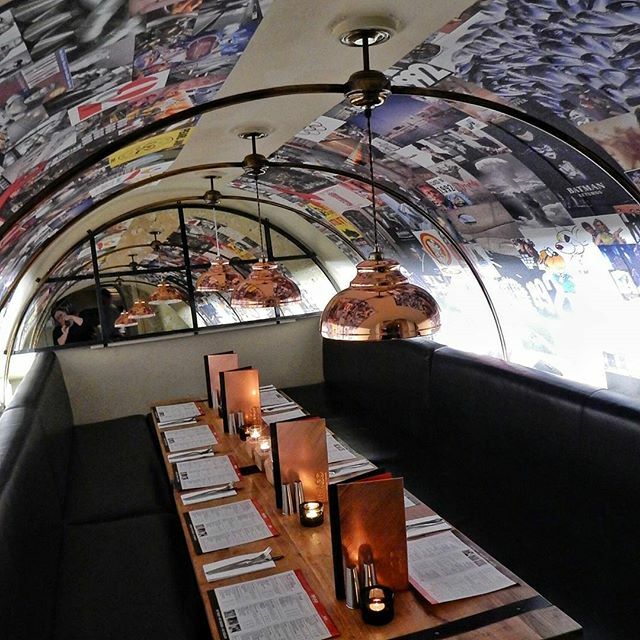 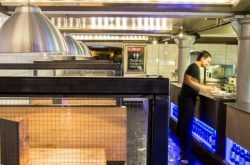 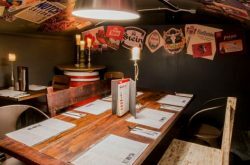 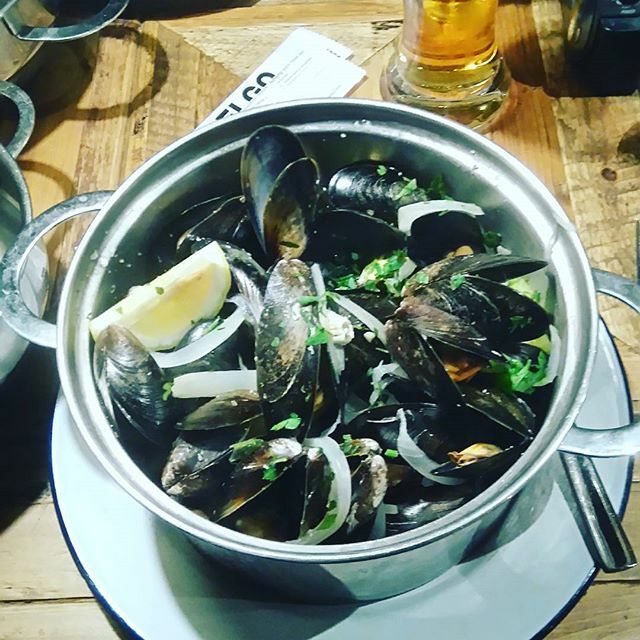 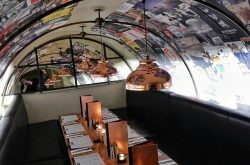 Belgo Centraal in Covent Garden offers a welcoming retreat, just 2 minutes’ walk from Covent Garden Tube Station. 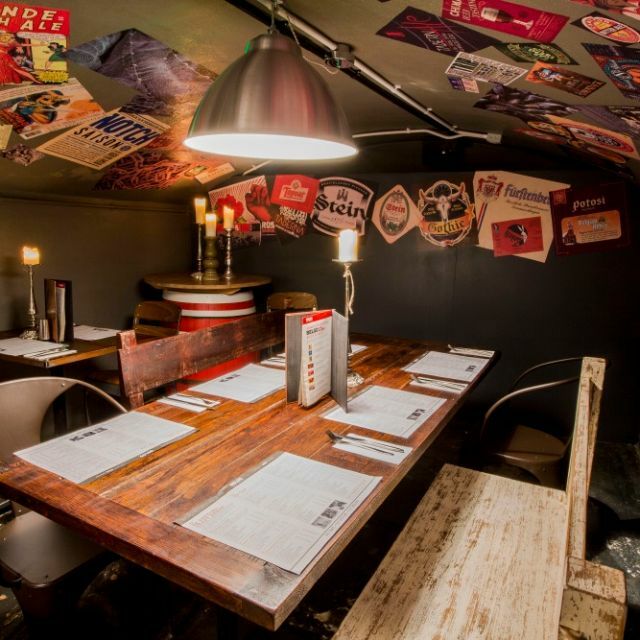 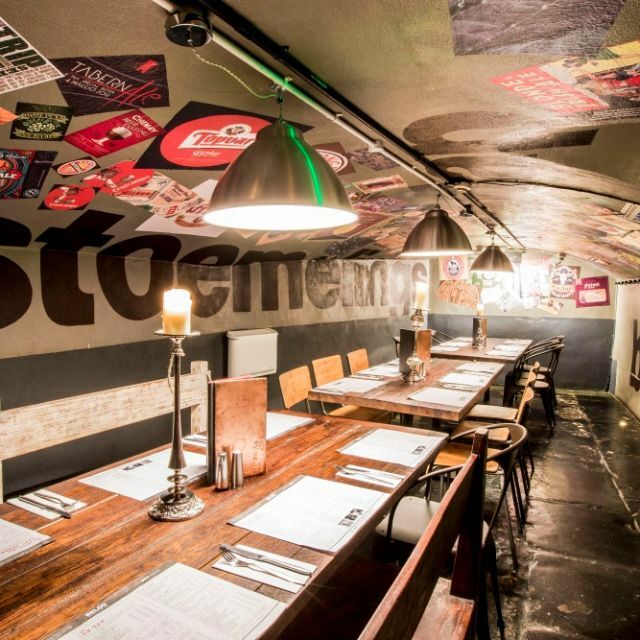 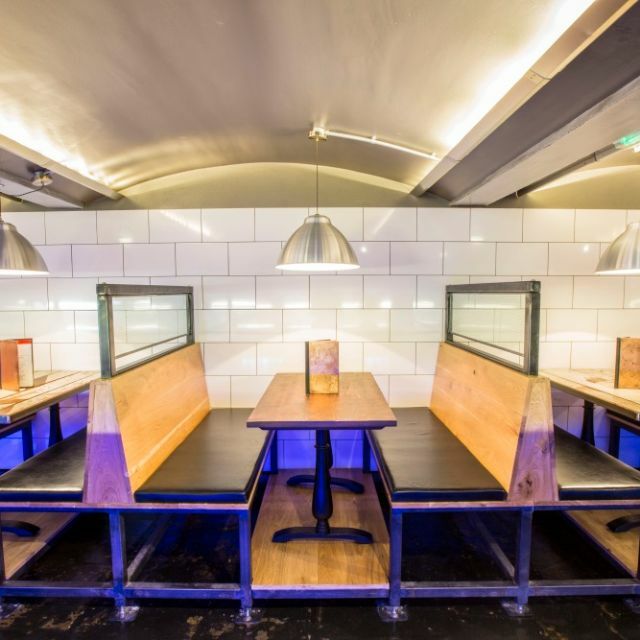 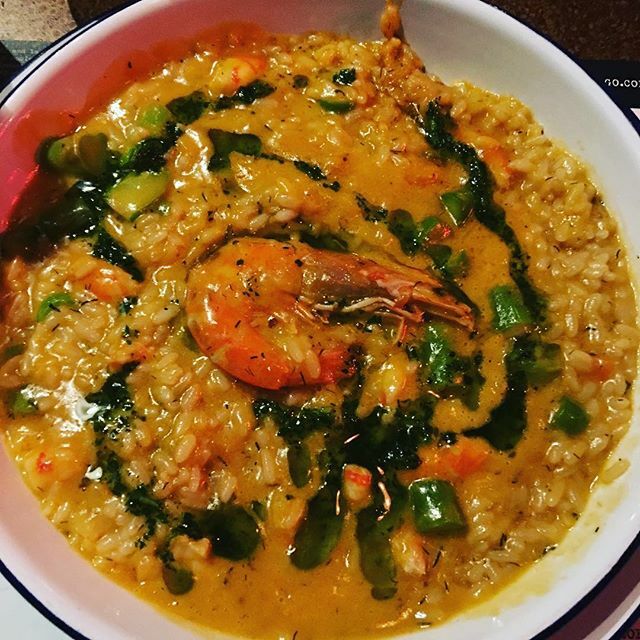 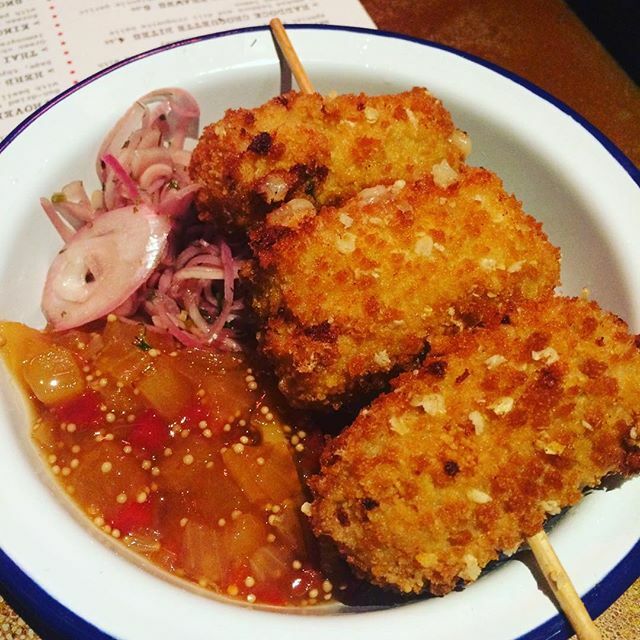 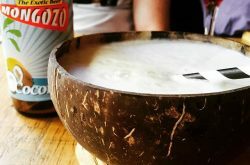 Housed within a stylish, converted warehouse, there’s a comfortable, authentic atmosphere. 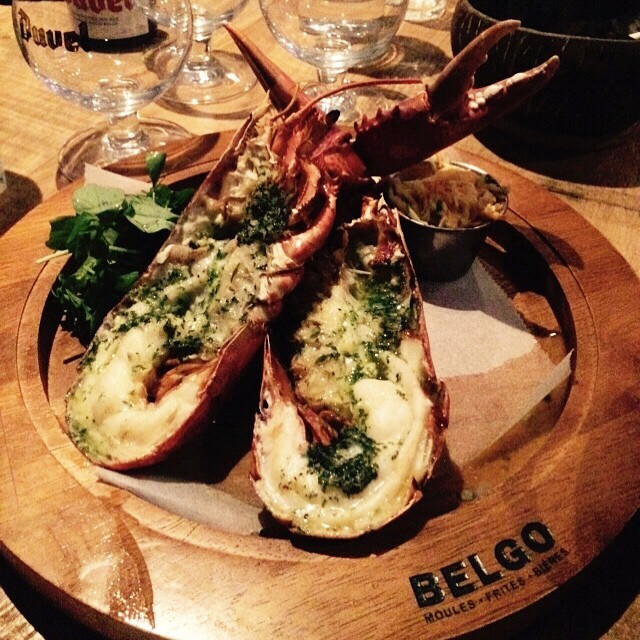 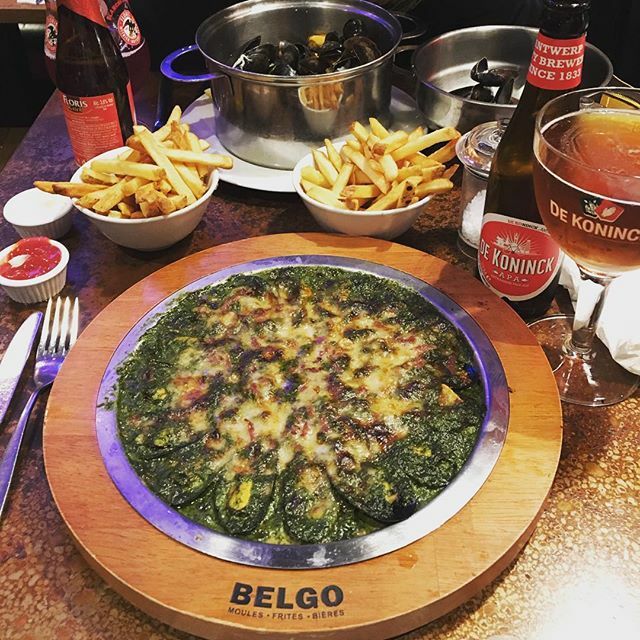 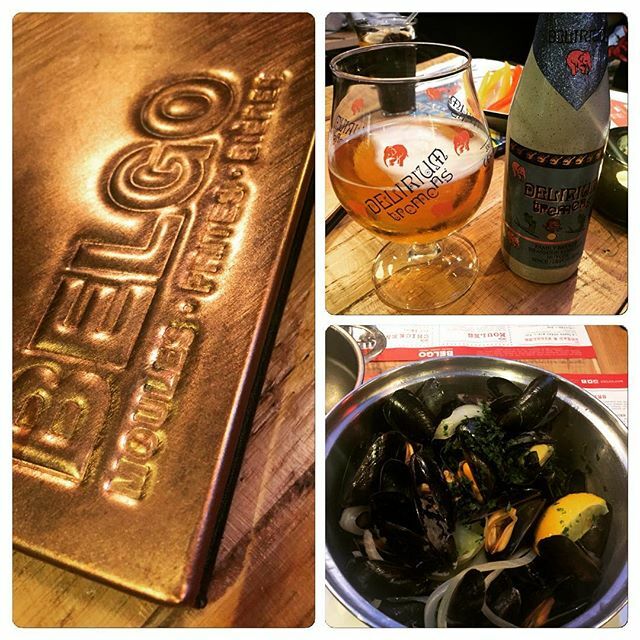 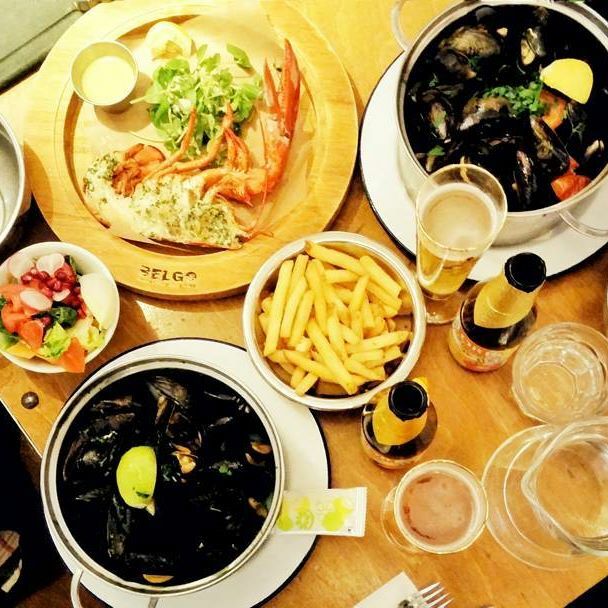 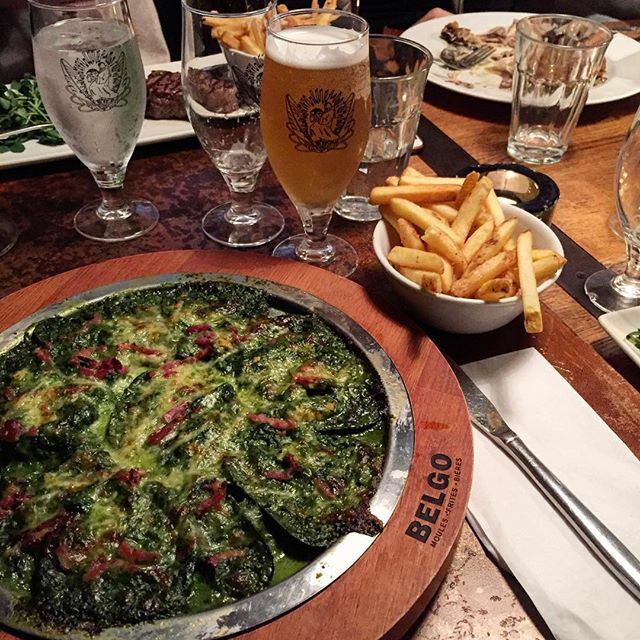 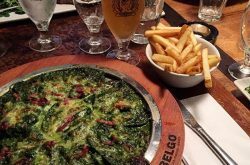 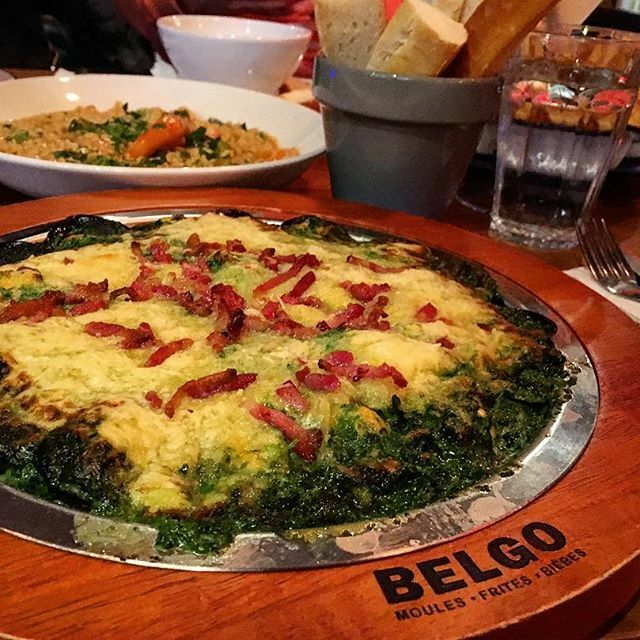 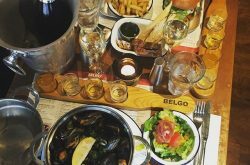 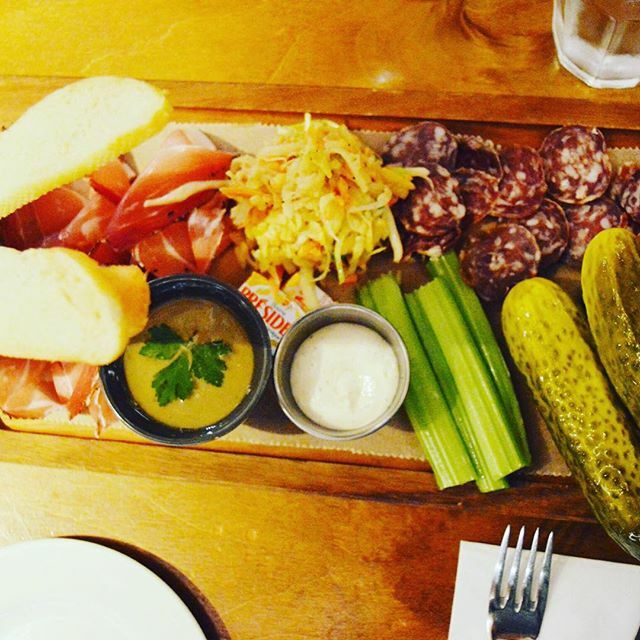 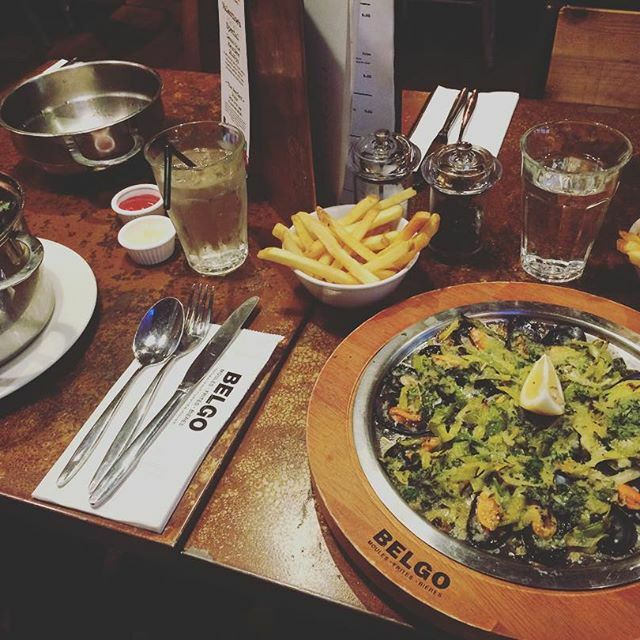 Uncomplicated yet delicious Belgian delicacies are served on the Belgo menu. 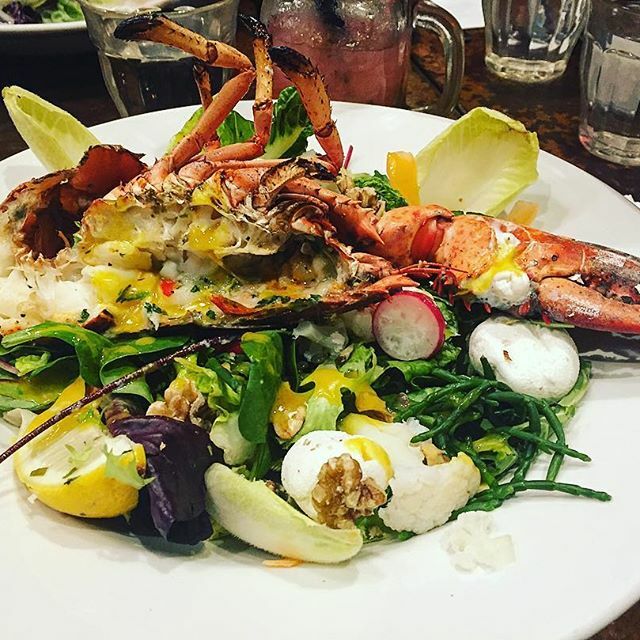 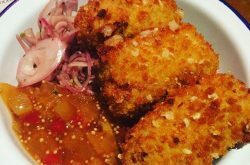 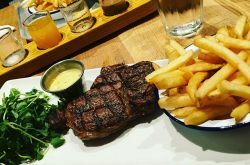 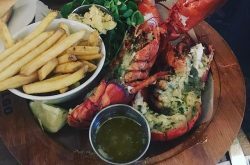 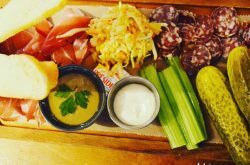 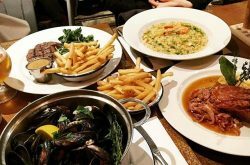 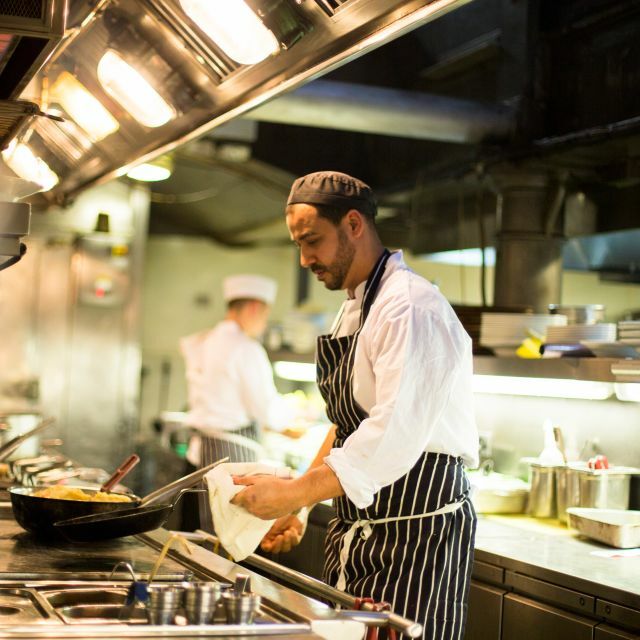 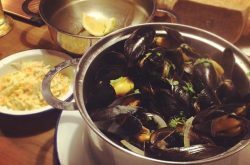 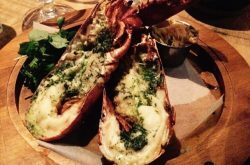 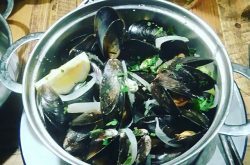 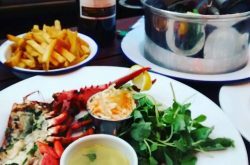 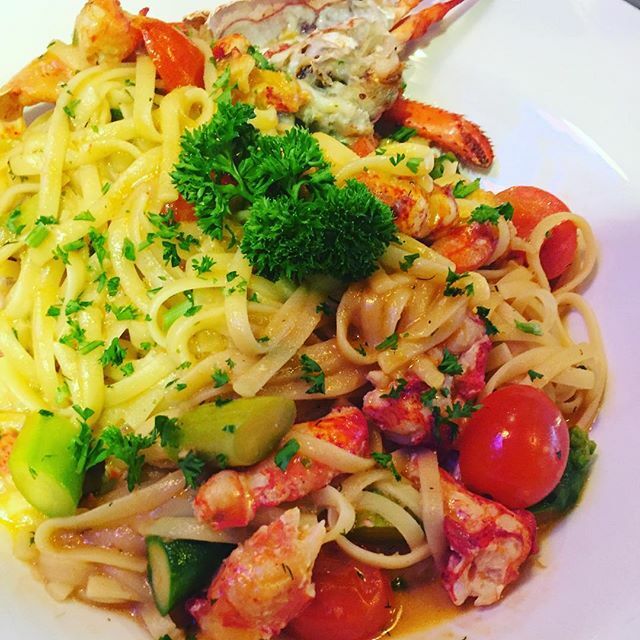 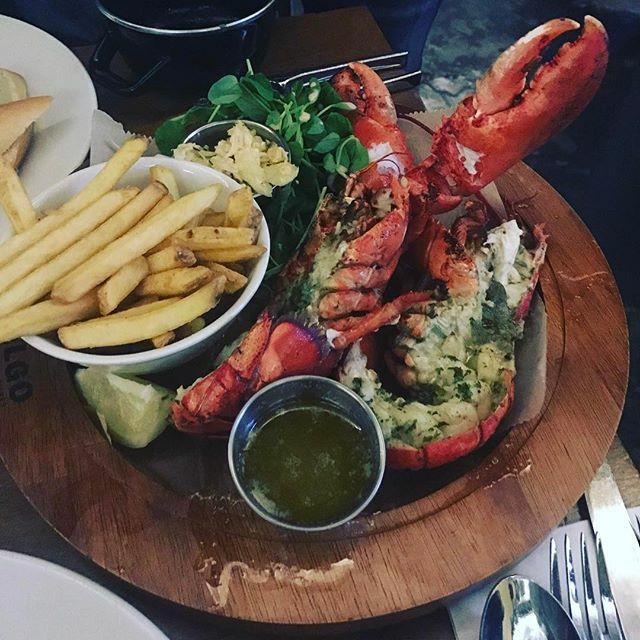 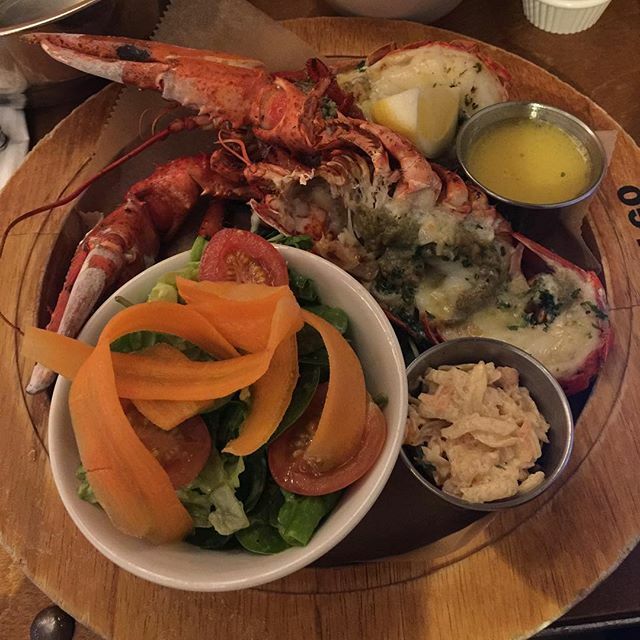 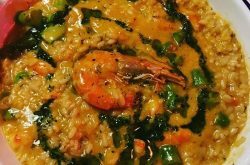 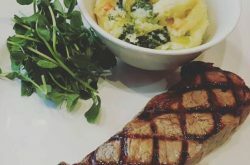 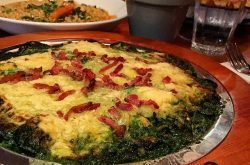 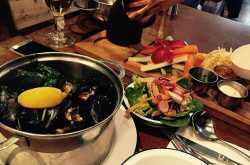 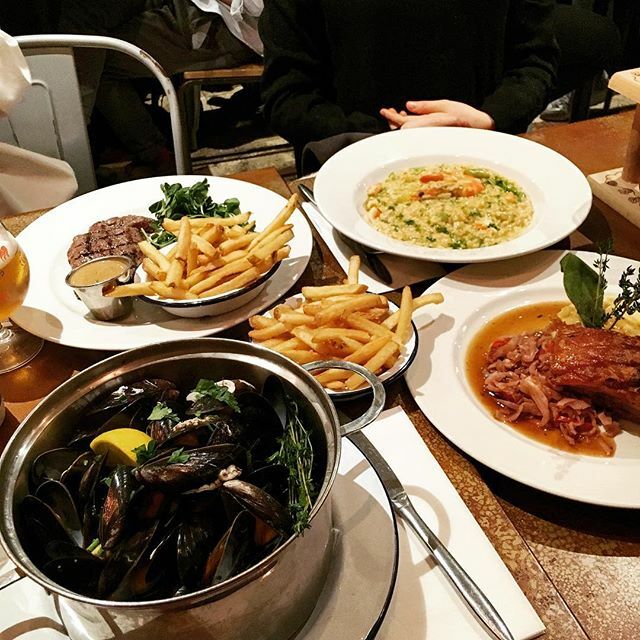 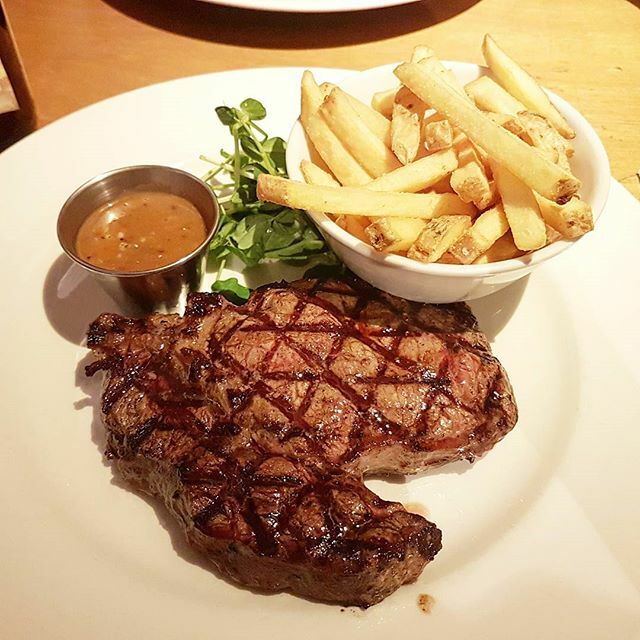 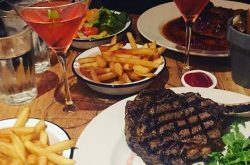 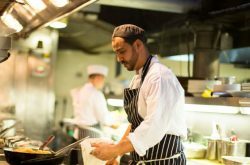 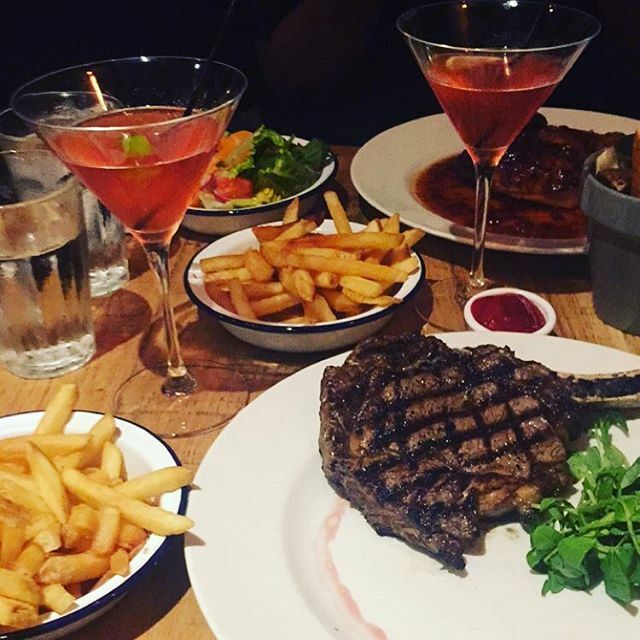 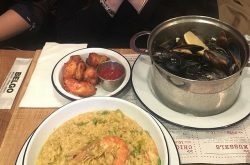 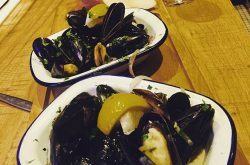 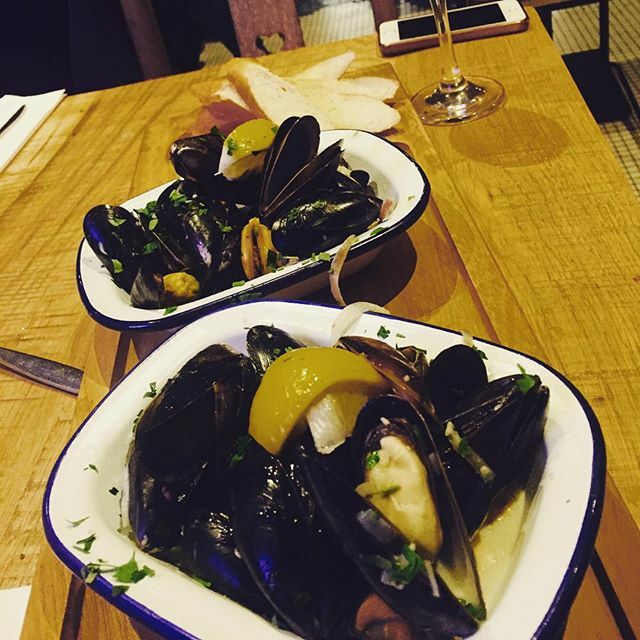 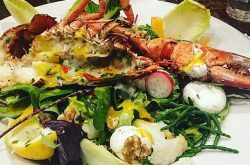 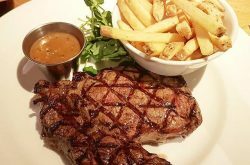 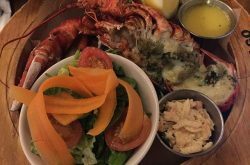 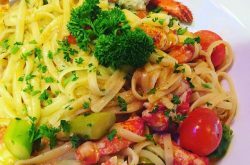 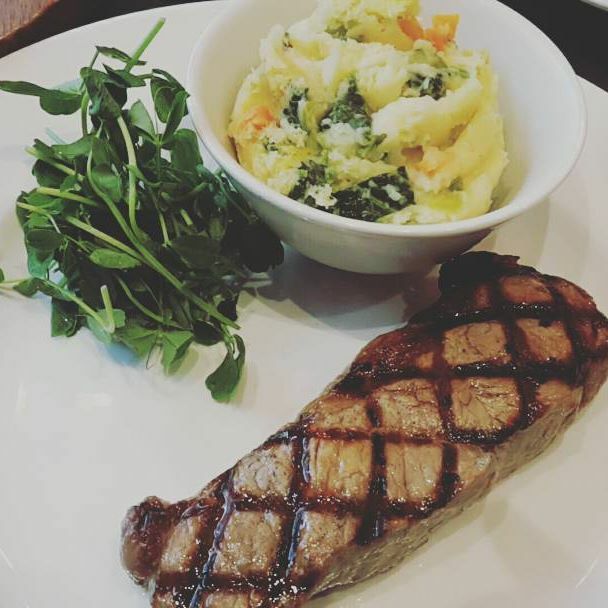 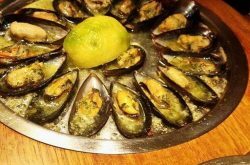 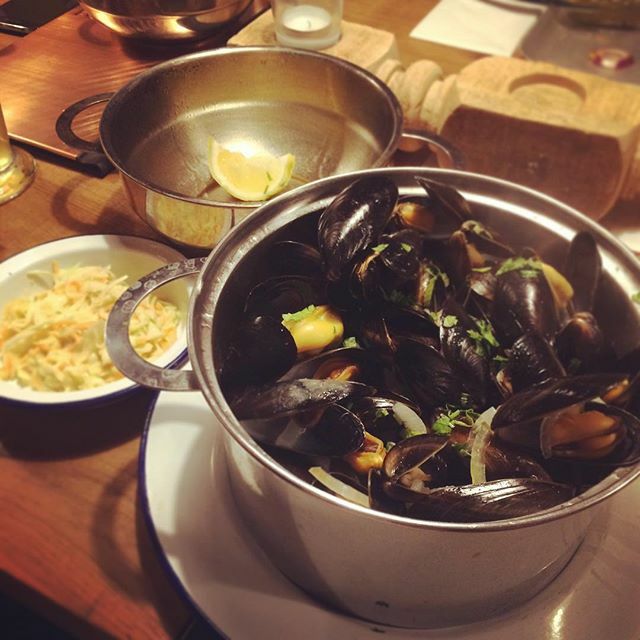 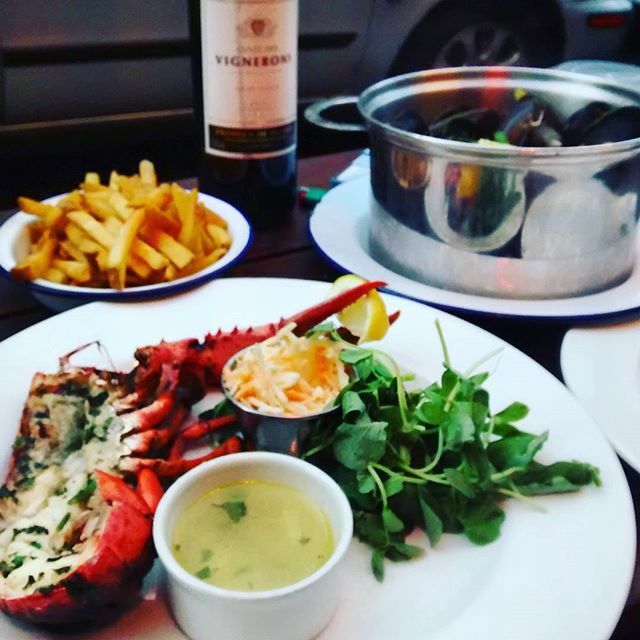 Favourites include parma ham with celeriac remoulade, wild boar sausages with Belgian stoemp mash and berry jus, or there’s always the house favourite − mussels with cream, white wine and garlic. 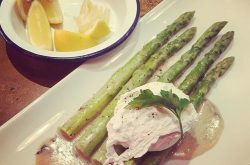 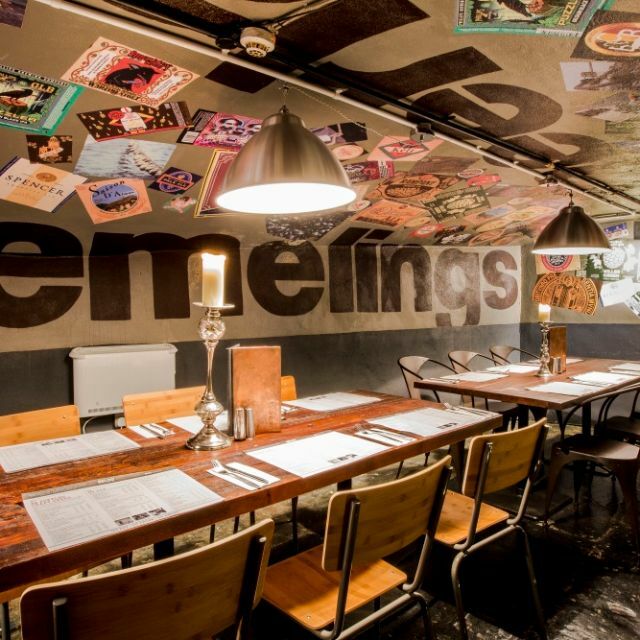 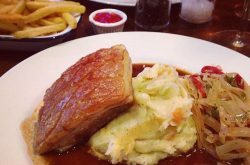 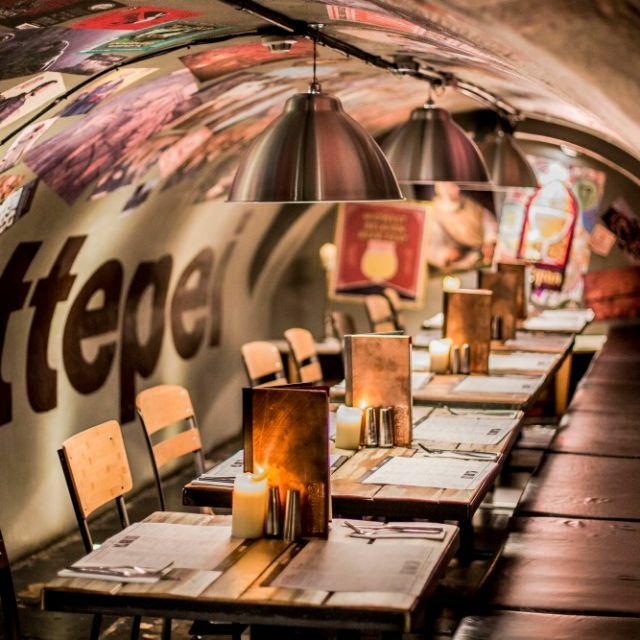 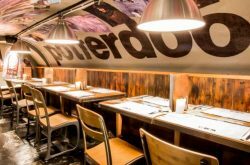 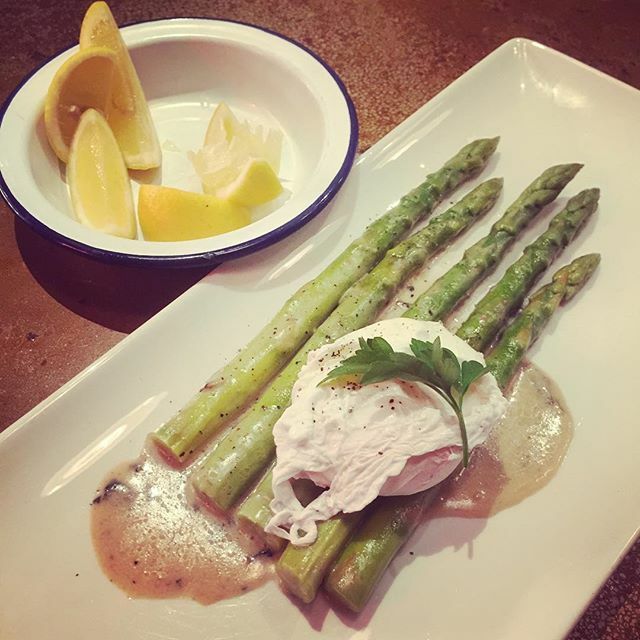 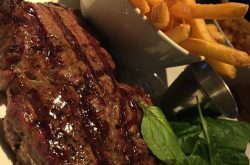 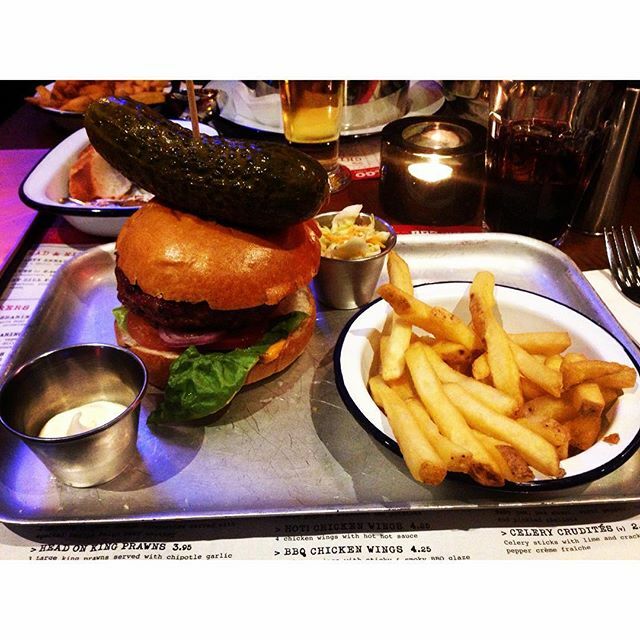 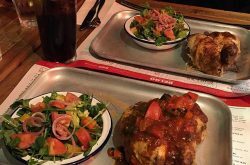 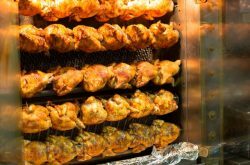 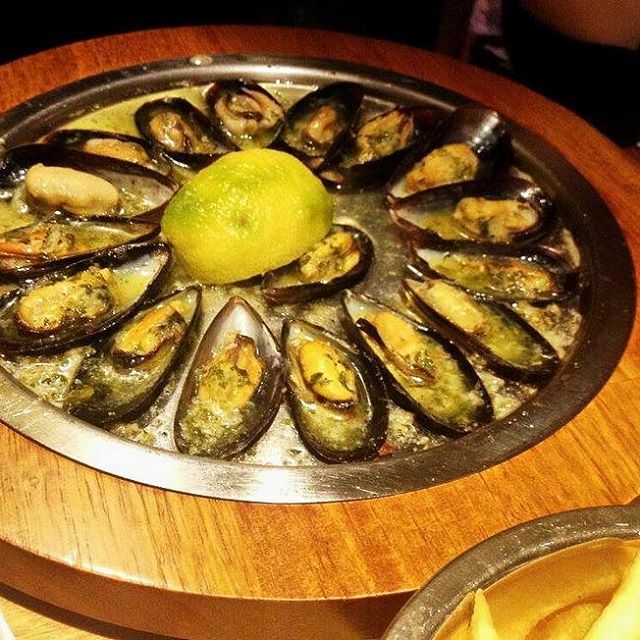 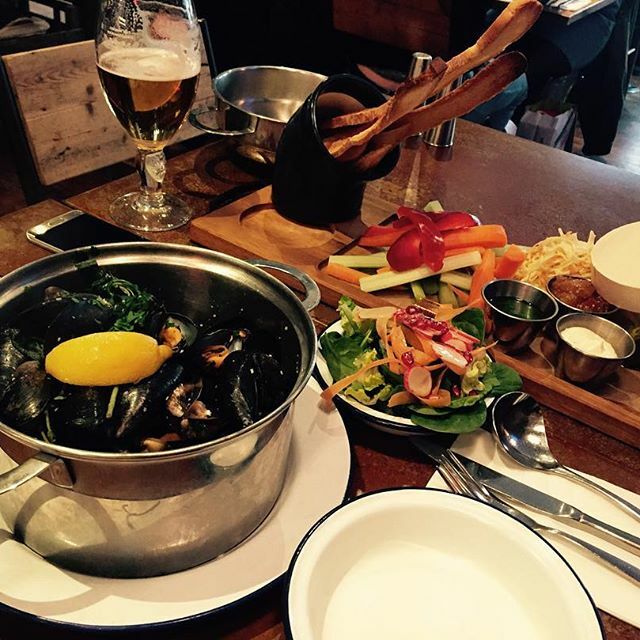 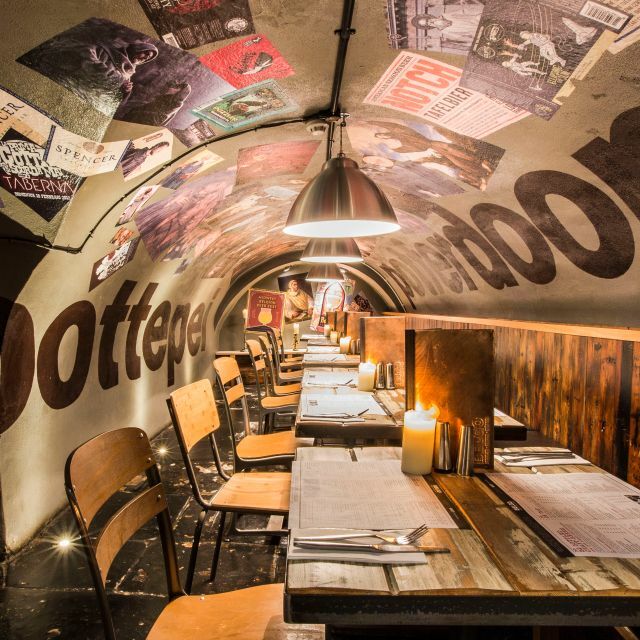 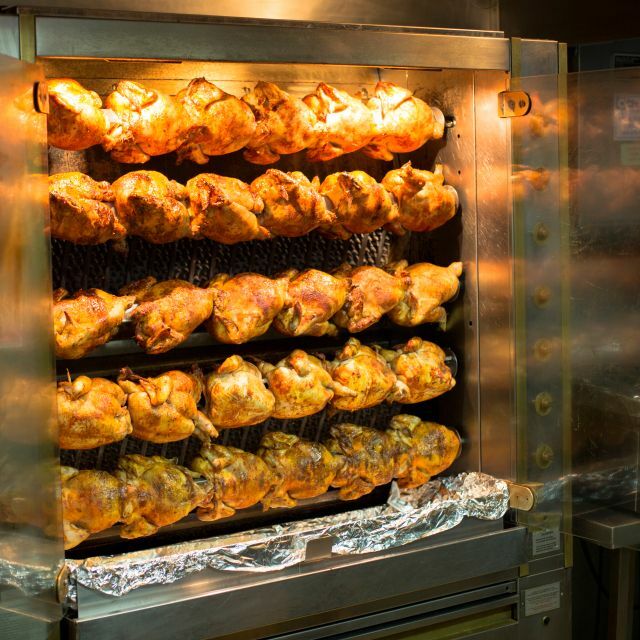 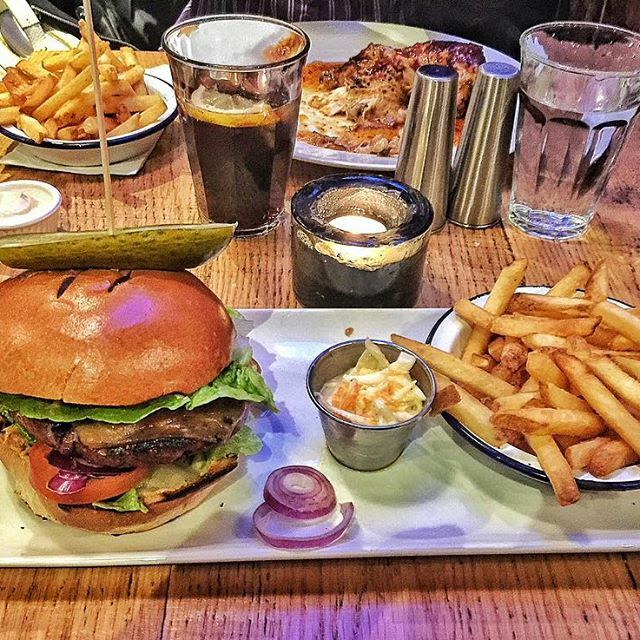 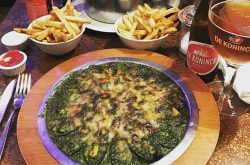 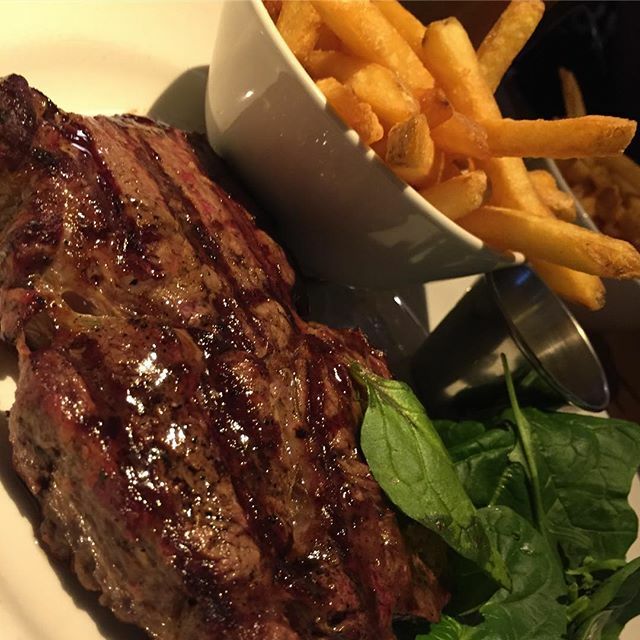 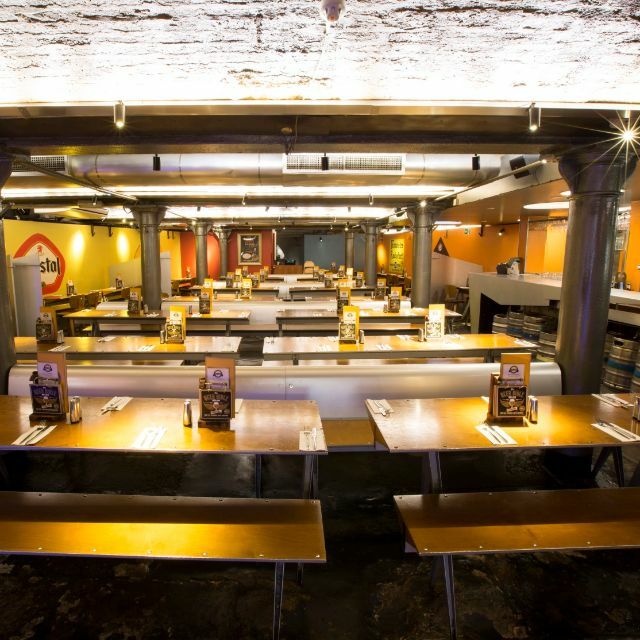 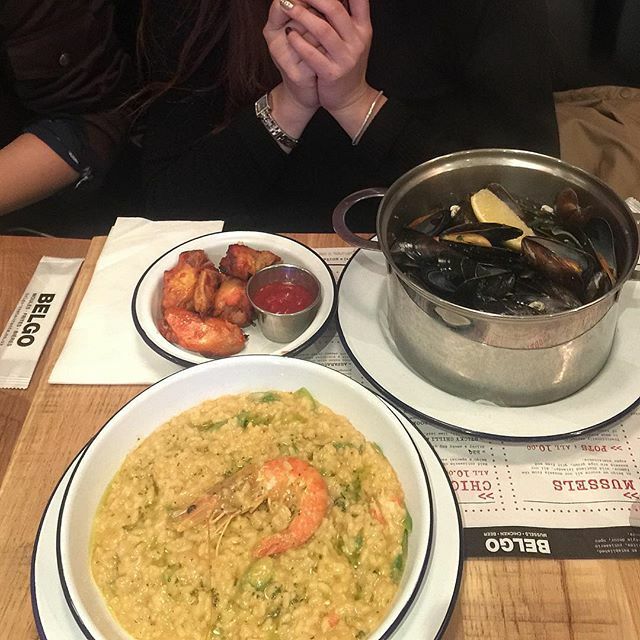 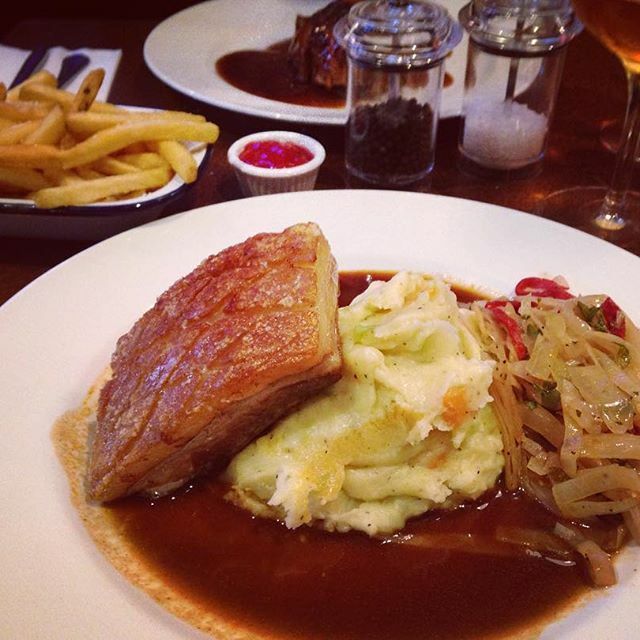 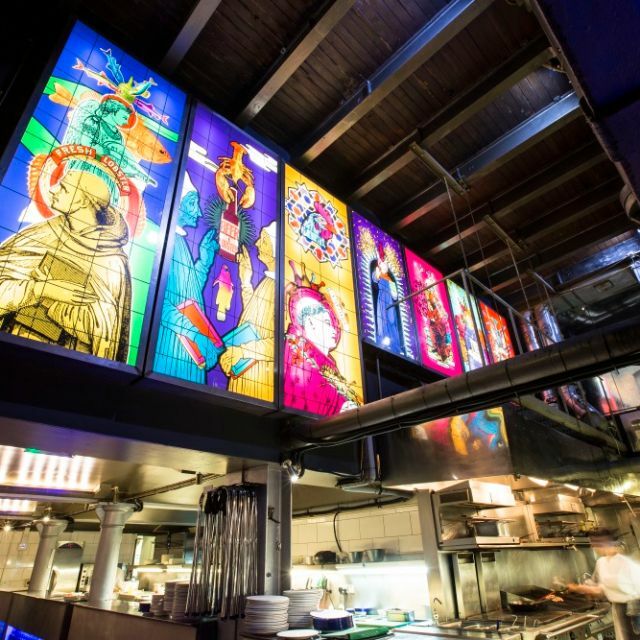 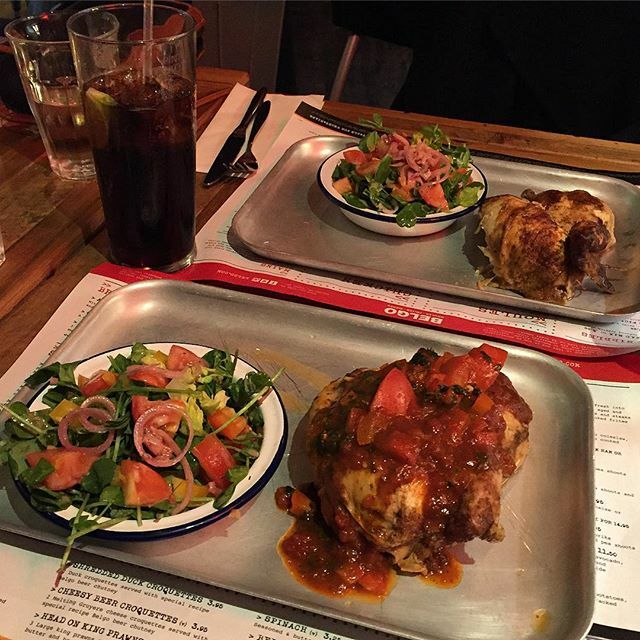 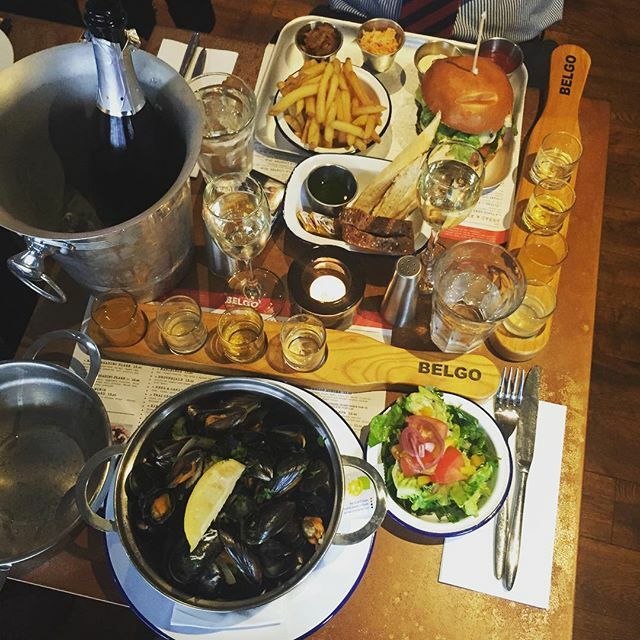 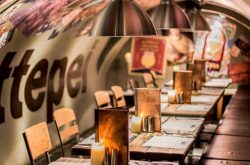 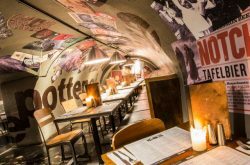 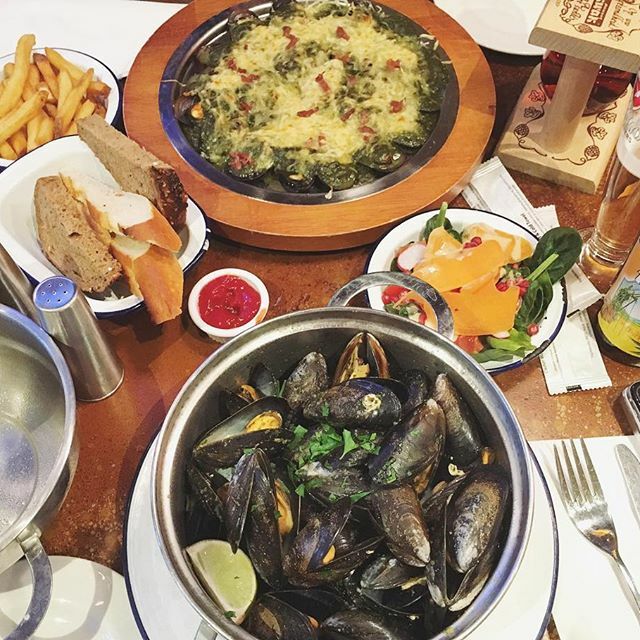 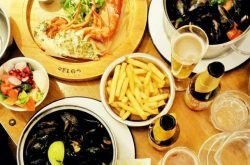 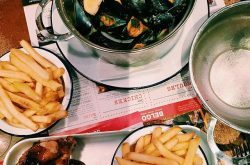 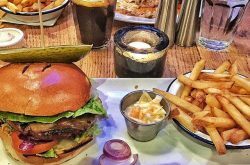 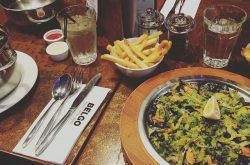 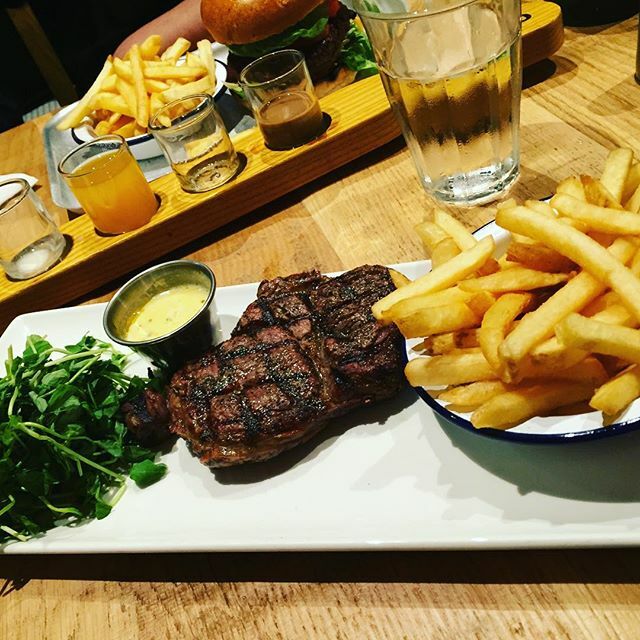 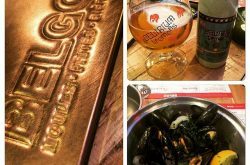 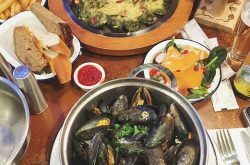 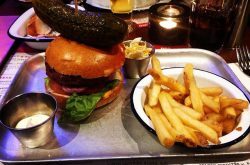 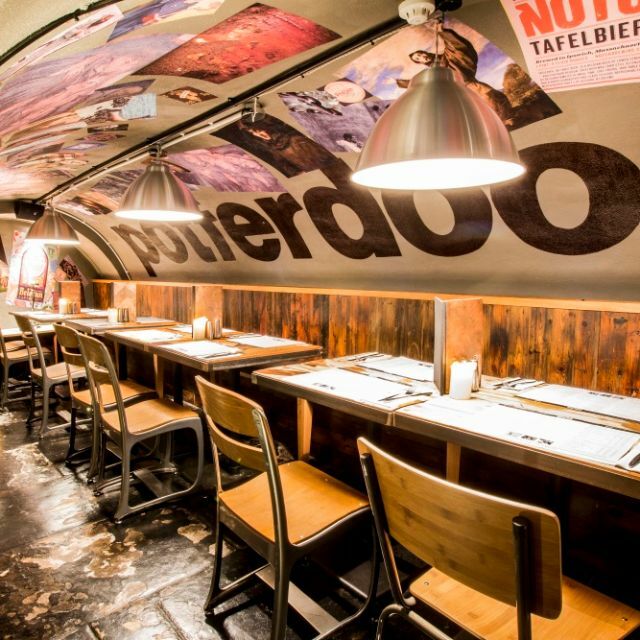 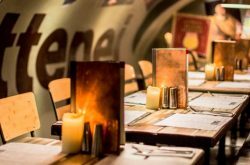 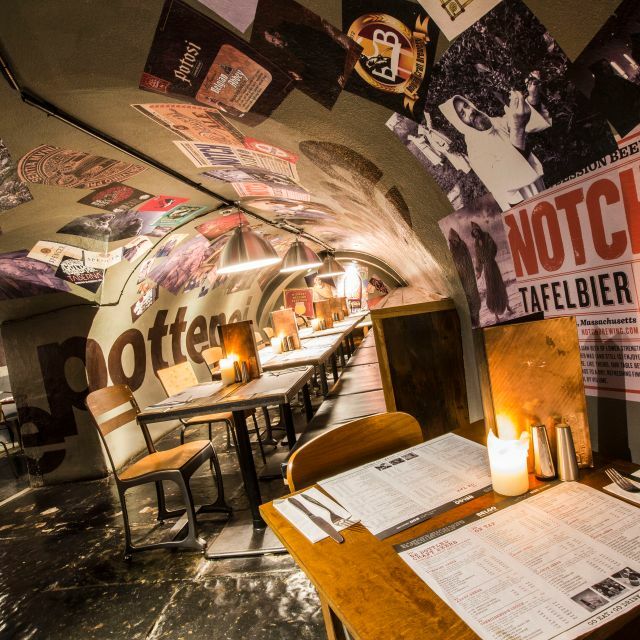 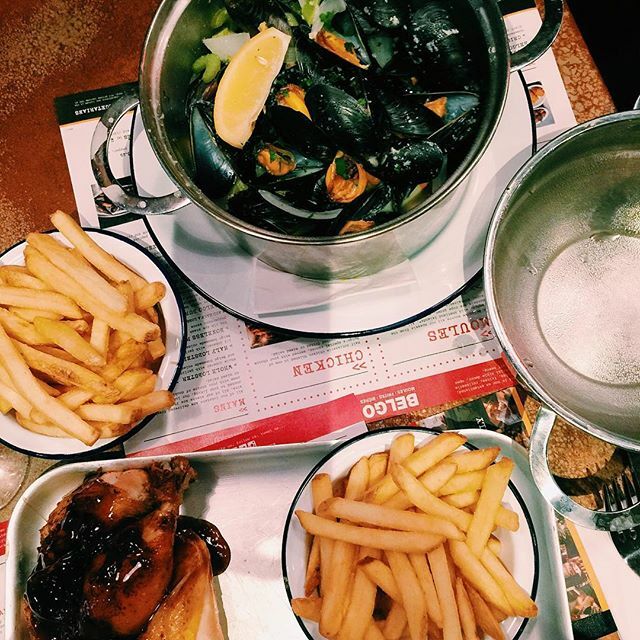 Belgo also offers a dedicated children’s menu, as well as pre-theatre and express menus. 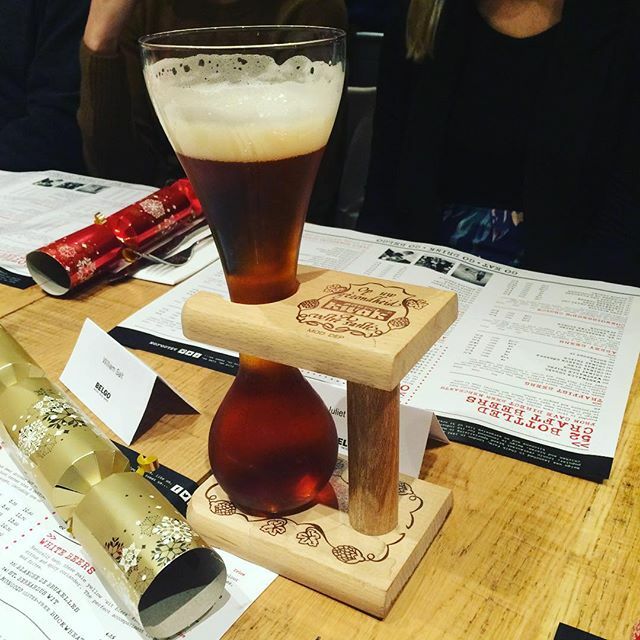 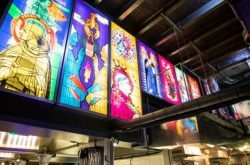 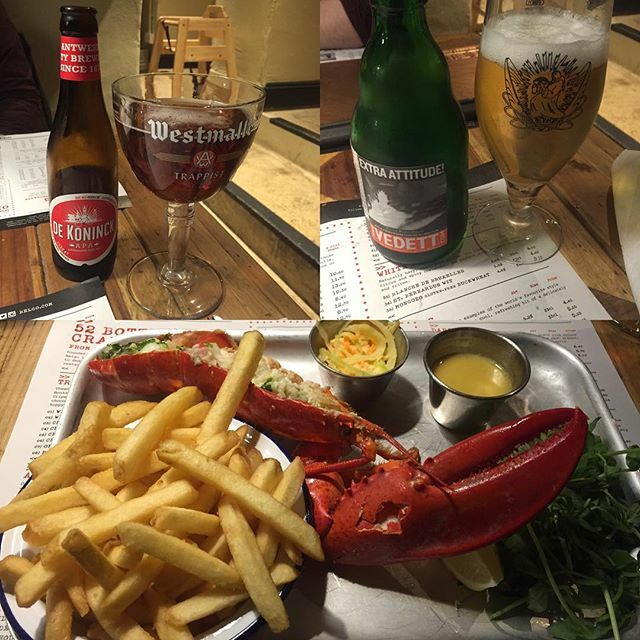 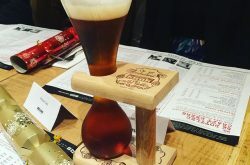 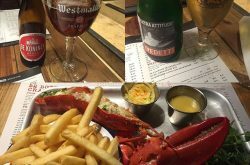 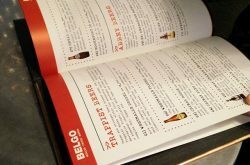 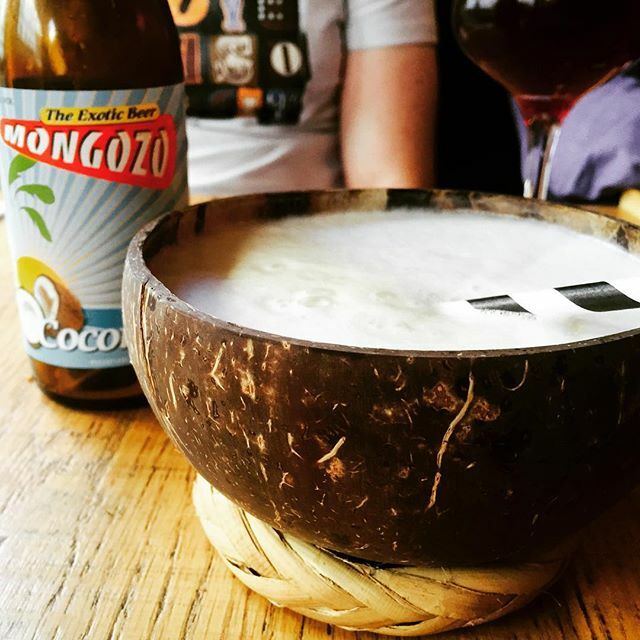 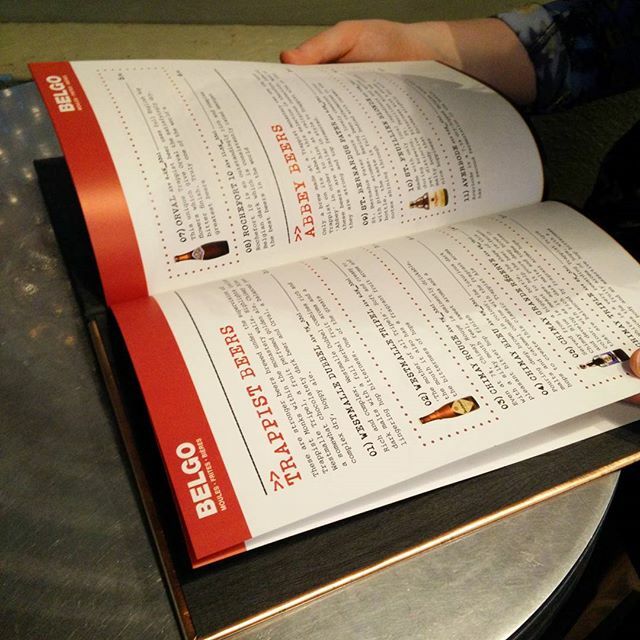 The Belgo restaurant drinks menu offers one of the largest selections of Belgian beers in the UK. 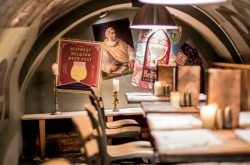 As well as renowned beers brewed by monks within Trappist monasteries, there’s also a range of tasty fruit brews and blonde ales. 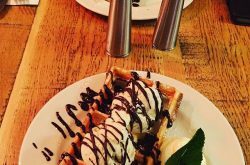 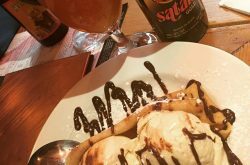 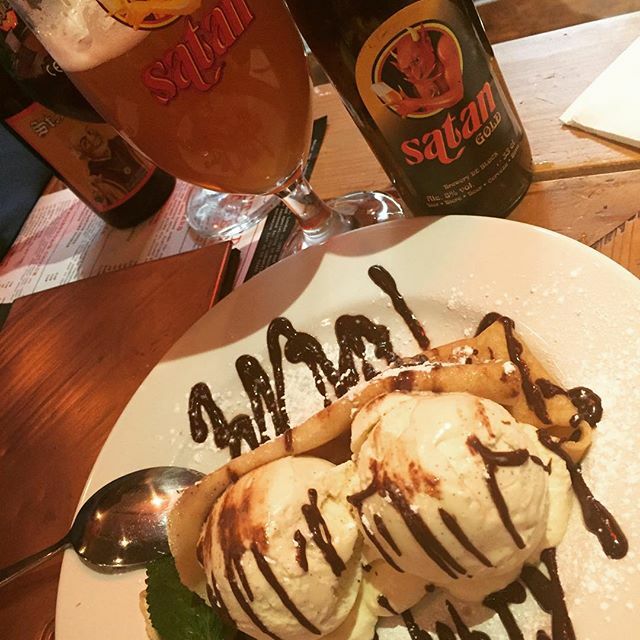 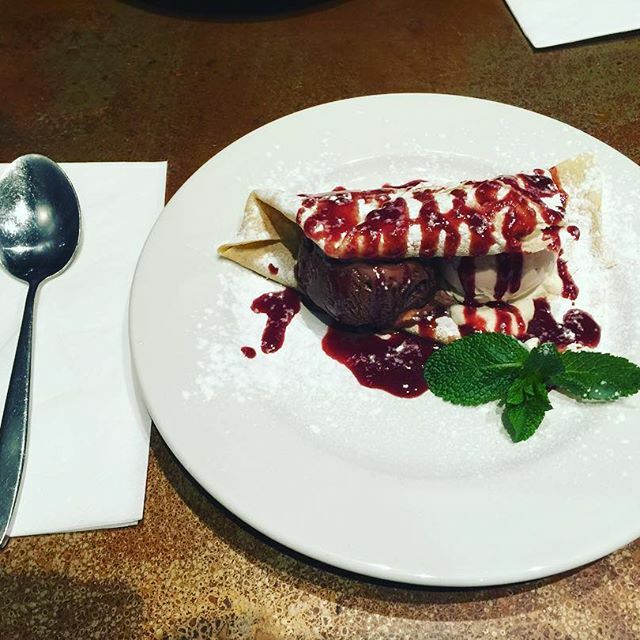 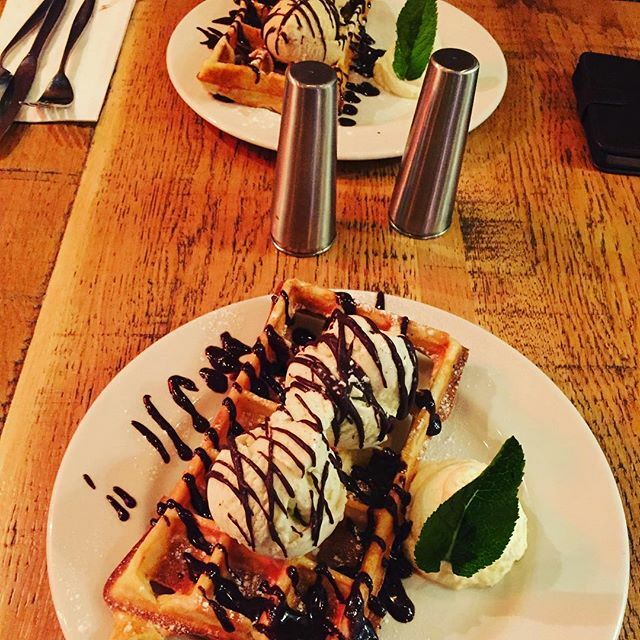 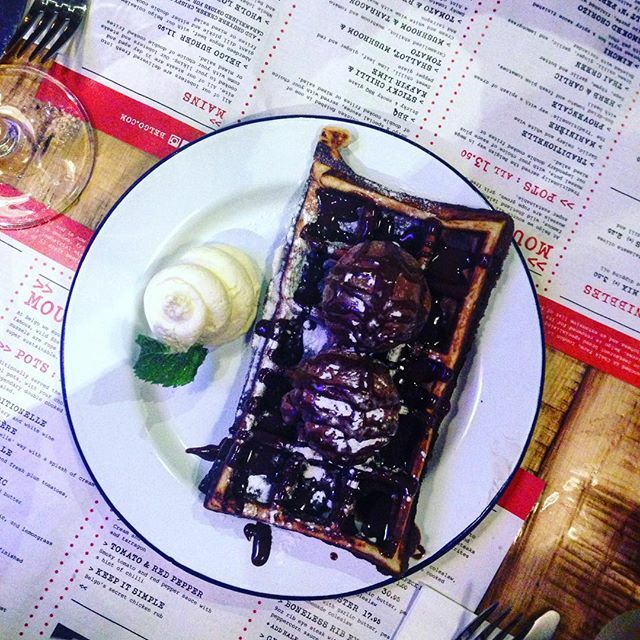 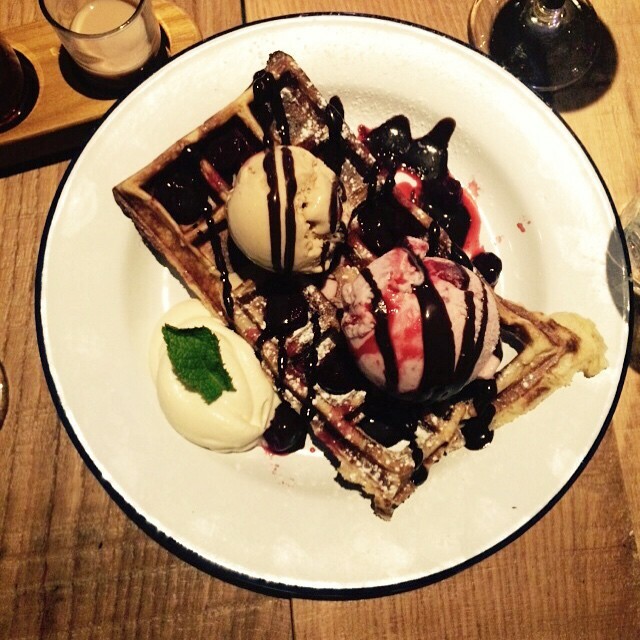 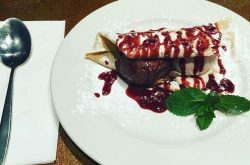 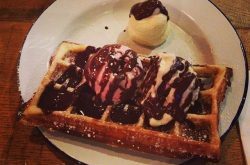 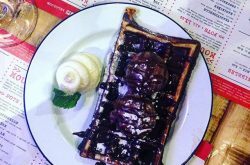 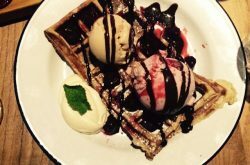 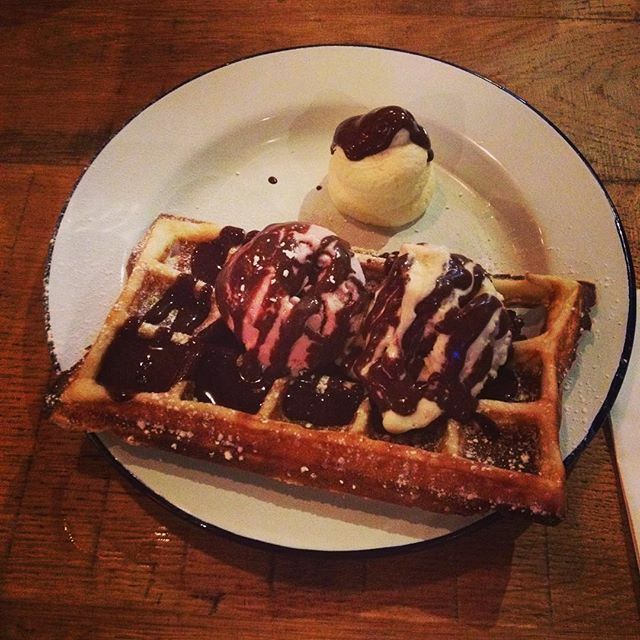 The dessert menu at Belgo London offers decadent treats such as Brussels-style waffles, and a Belgian chocolate bread and butter pudding. 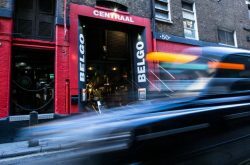 Open from 12:00 to 23:00 Monday to Thursday, from 12:00 to 23:30 Friday and Saturday, and from 12:00 to 22:30 on Sunday.